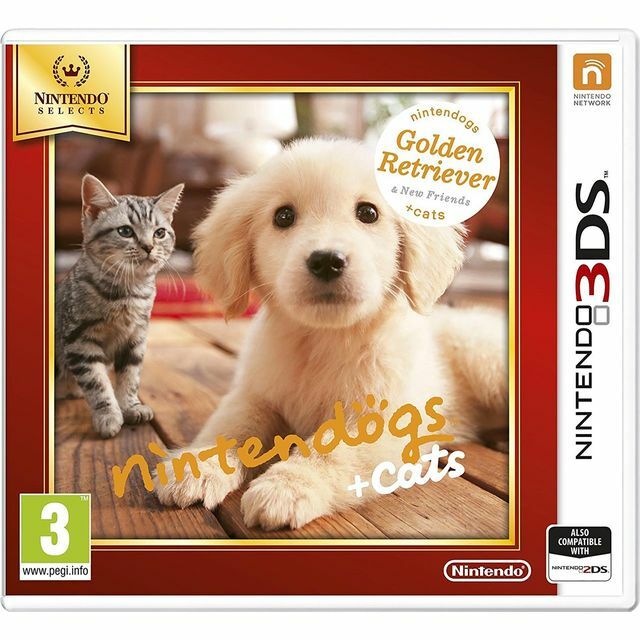 Walk, clean and train your dream pets in Nintendo’s adorable animal sim, Nintendogs + Cats Golden Retriever edition for Nintendo 3DS and 2DS. Adopt from a litter of loveable puppies and kittens, then teach your new pet as they grow. Take your dog on walks to buy new treats or play with your cat as you build the ultimate kitty den using furniture from around the house. Keep training and playing with your pet and eventually they’ll be ready for competitions where you and your furry friend can compete to win special prizes.